The Emerald dry herb vaporizer is a sleek pen style unit that easily fits in a person’s pocket. 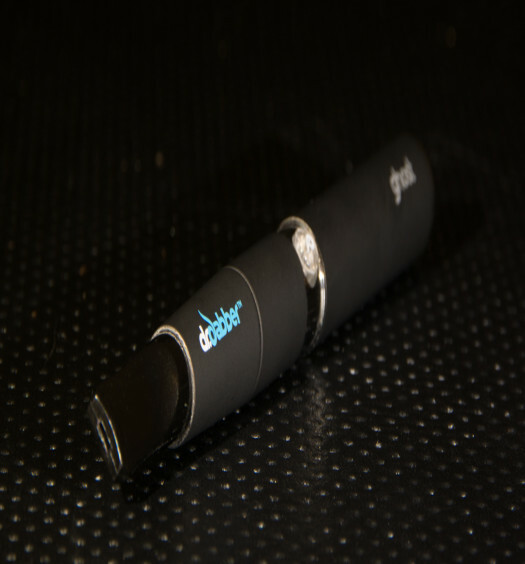 This vape heats up within three to five seconds and is very discreet for when out in public. The one touch button system is about as simple as it can get, just hold it down for 7 to 10 seconds and release. A metal coil in the heating chamber reaches vaporizing temperatures quickly and a glass screen acts as a buffer between the herb to prevent combustion. The light at the bottom of the vaporizer will flash if the button is held too long and the heat will automatically cut off, another measure to ensure proper vaporization. The Emerald portable vaporizer is available in four different colors; black, green, blue and silver. The Emerald portable vaporizer comes with the battery, metal coil heating chamber and a rubber mouthpiece. A USB charger and wall adapter come standard with Emerald. The package also includes replacement screens that can be placed into the vaporizer after extensive use. A load tool and brush are in the box as well, this makes for quick cleaning and maintenance. The Emerald vaporizer may have a slight charge when it is first removed from the box, however it is a good call to charge the battery for about four to six hours before initial use. How long the button is held down will play a large factor in the life between each charge. Holding it down for seven to ten seconds and allowing the coil to heat will provide a longer battery life than quick taps of the button. Frequently connecting the battery to the charger will ensure that it is always at peak charge and ready for use. HOW DO I CLEAN THE EMERALD? The Emerald has a rather small heating chamber where the herb is placed and will require pretty frequent cleaning for proper maintenance. Luckily it is not a very difficult procedure if the glass screen is used every time. This glass screen can easily be placed in some isopropyl alcohol to remove any built up residue. For the metal coil itself, simply dab a q-tip in a small amount of the rubbing alcohol; hold the chamber upside down and gently run the q-tip around the coil. Be very careful not to snag the coil and pull it out, as this will damage the coil and prevent any further use. HOW LONG DOES THE DOES THE CHAMBER LAST? The life of a heating chamber can vary a lot depending on quite a few different factors. How frequently the metal coil is cleaned will lengthen the overall life of a chamber. However, always be very careful never to snag the coil as this will damage it nearly every time. Using the glass screen will help to ensure that the herb is vaporized and not burned, which will quickly dirty the heating ceramic. Generally a heating chamber for the Emerald will last for two to four weeks of regular use. HOW DOES IT COMPARE TO THE ATMOS RX? If comparing the Emerald to the Atmos RX, they are honestly very similar in both design and performance. However, both the unit itself and replacement parts are cheaper when using the Emerald. Plus the Atmos RX has its own threading that does not match up at all with a lot of replacement chambers that are more cost effective. This will become a problem when you want to purchase additional add-on heating chambers and tanks because they simply won’t fit. But since the Emerald uses standard 510 threading, it makes things much easier. Performance wise, there isn’t really a difference between the two. When choosing between the two, it is a no brainer to go with the Emerald vaporizer. A pen style vaporizer for dry herb such as the Emerald can have quite a bit of a learning curve when using it for the first time. The chamber heats up quick and very hot, which can easily lead to the herb overheating. The method below provides the most efficient way to get solid results from the Emerald. -Preheat the unit by holding the button for 7 to 10 seconds, then release. -After a brief pause, hold the button down again. 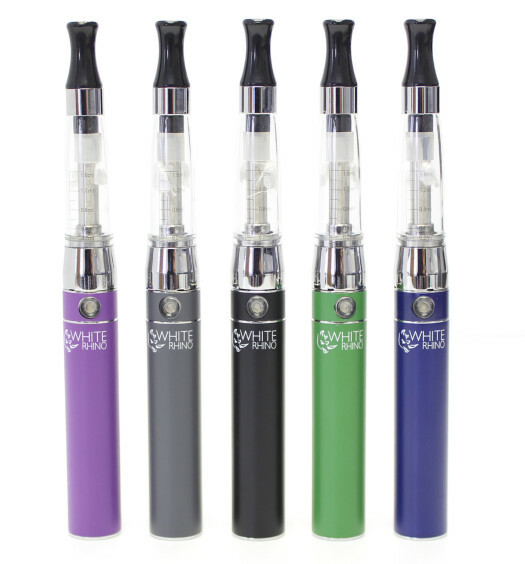 -Every 3 to 4 seconds, take a quick sip of the vapor, it works better than one long continuous draw. It is a good idea to stir the herb after a few draws to prevent it from overheating in one spot, leading to combustion. Also, do not clamp when inhaling, allow some air flow around your mouth and the mouthpiece.A pen unit will not produce clouds of vape quite like a desktop unit, as the air path is much shorter than a long whip. There are certainly a wide variety of pen vaporizers out there that claim to be compatible with dry herb. When using the Emerald, if the glass screen is placed over the coil before herb is packed, it will definitely create a nice draw of vapor. The quick heat up time is very convenient for discreet use when out on the go. It is not a vaporizer for those that are looking for large clouds of vapor or an easy beginner vape. It will take some time to master and a few heating chambers will get dirtied. Every pen style vaporizer requires patience and the Emerald is no different. Practice makes perfect and after some use it will perform better and better, it really is an efficient vape. We found the on this trusted retailer’s site at the lowest price. 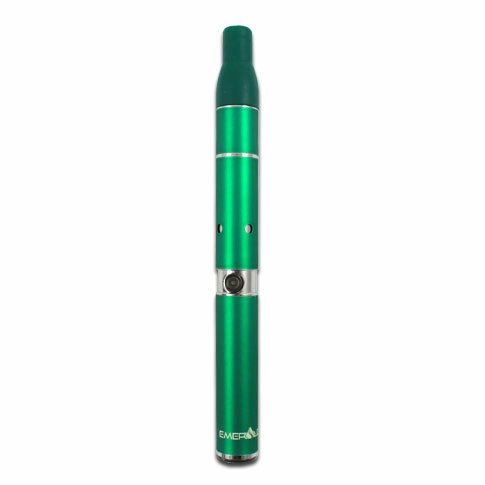 The Emerald is an affordable vaporizer that is perfect for anyone that wants a pen vape for dry herb. It heats up quick and the glass screen acts as the perfect buffer between the herb and hot coil. The one ouch button control is simple to use, but can take a little time to master.